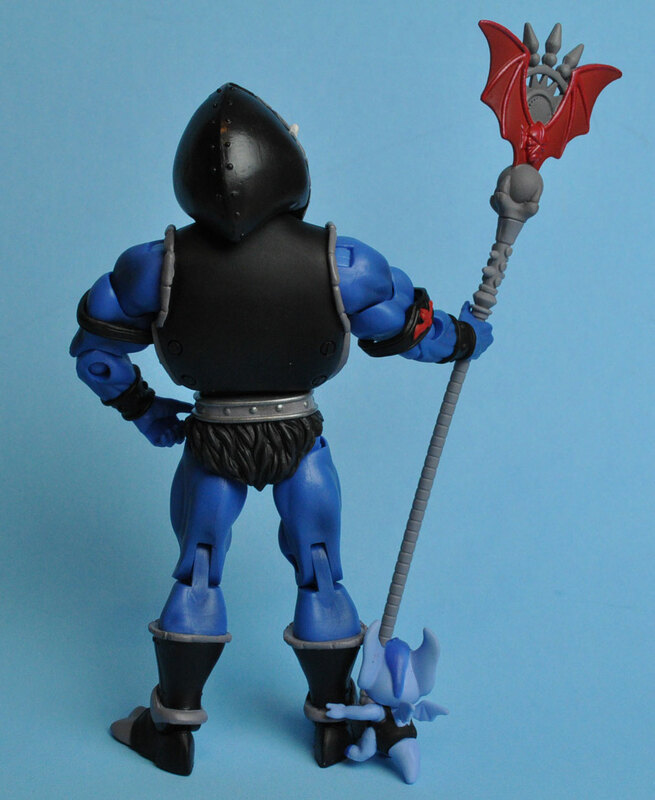 His hordey badness has returned in an all new deco and some new features for San Diego Comic Con! 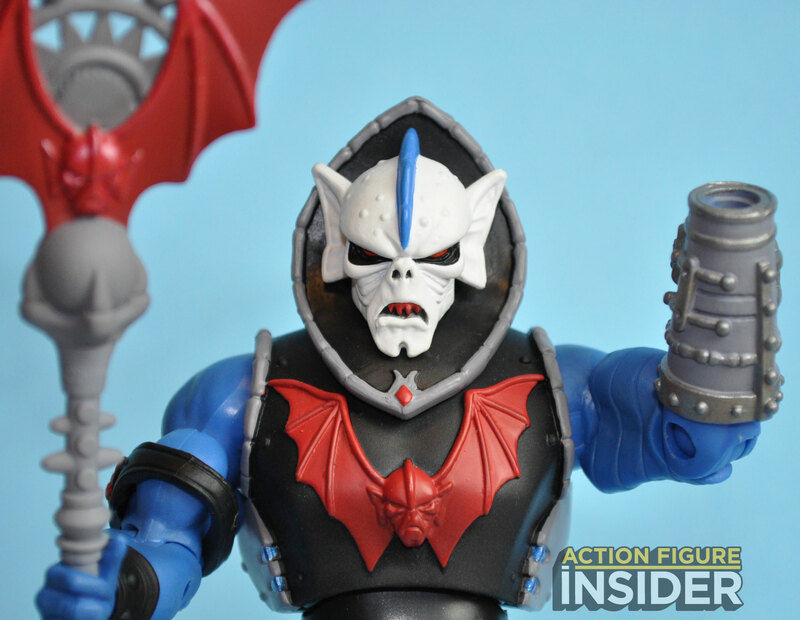 “Filmation Hordak” as he has come to be known is hitting the convention circuit next month. 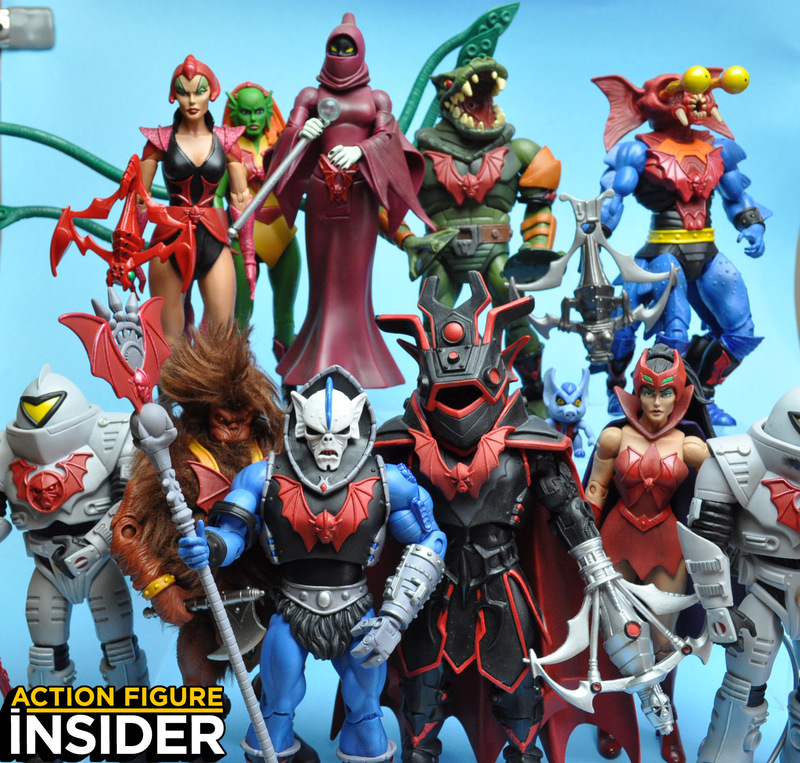 Despite being labeled as “the Hordak that nobody wanted” by collectors hoping for a more Filmaton styled cyborg Hordak head, his popularity and his new sidekick Imp seem to have beat the odds as the figure sold out for SDCC pick-up pre-orders in 7 minutes. 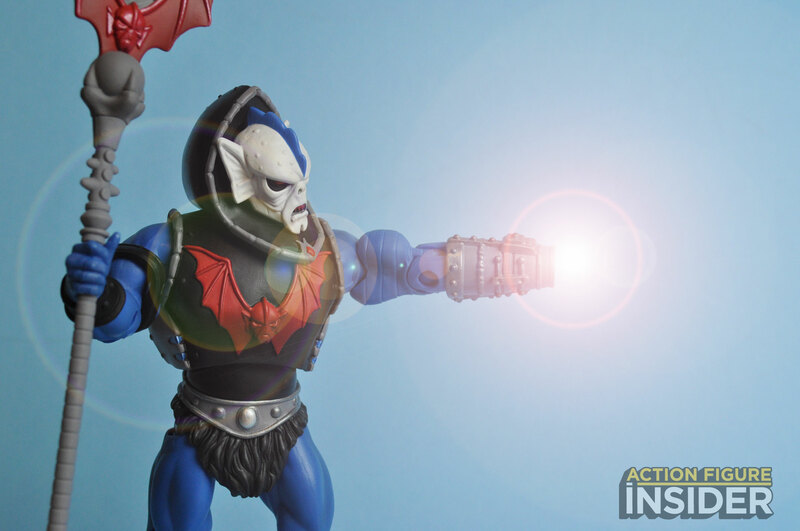 Celebrate the 30th anniversary of She-Ra® and POP with the first-ever filmation-style Hordak® figure! 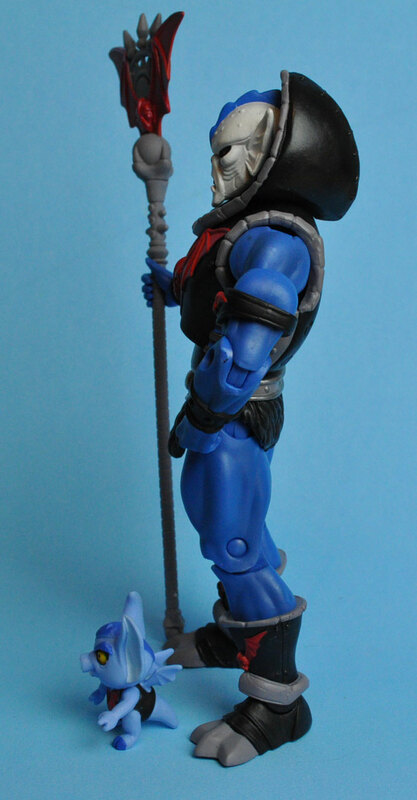 Inspired by his ‘80s animated appearance complete with blue skin and interchangeable cannon/”human” arms, this figure includes a snap-on claw hand for his cannon arm and a Horde magic staff. 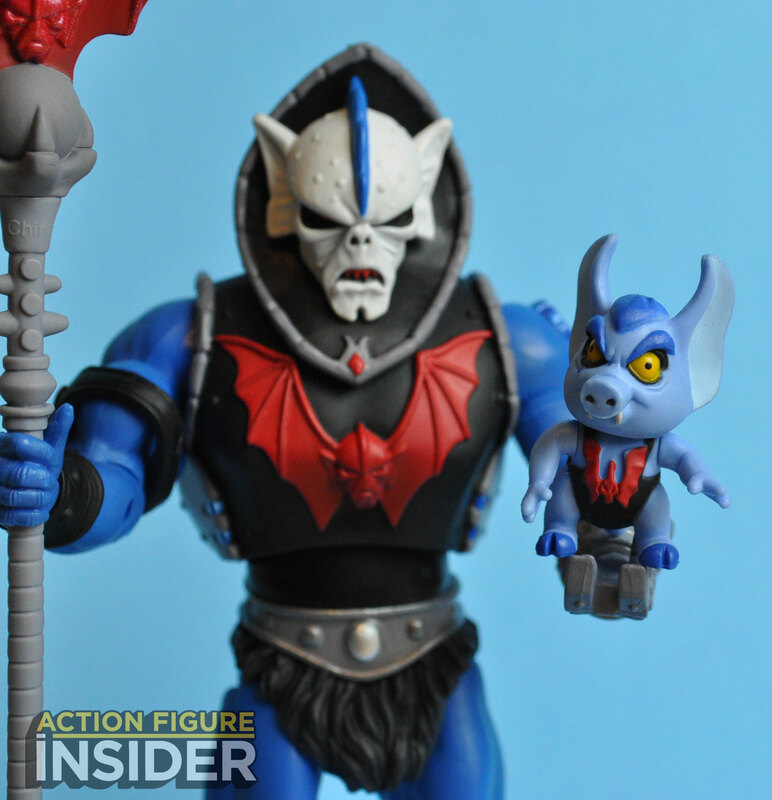 As an added bonus, Hordak® comes with the first-ever Imp figure, his sarcastic evil sidekick from the series. 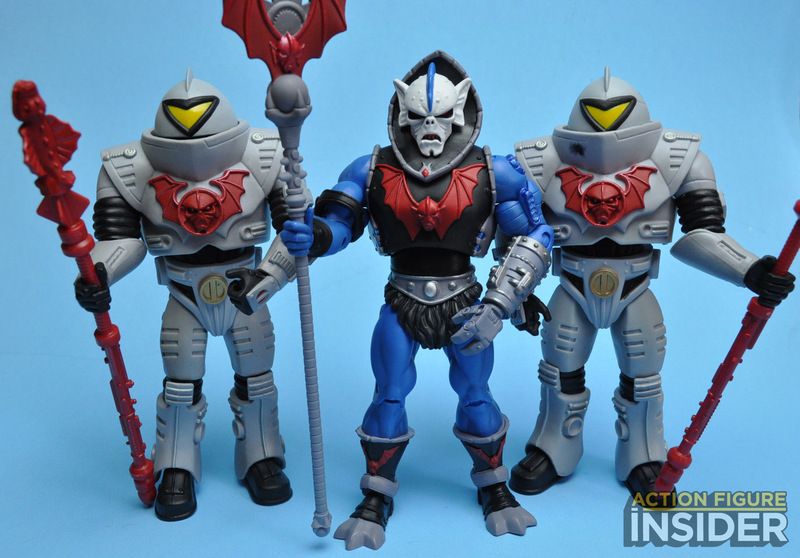 Added bonus only at SDCC: When you purchase this Hordak® figure at the show or pre-order the figure to be picked up at the show, you also get a bonus “Imp as a treasure chest” figure! 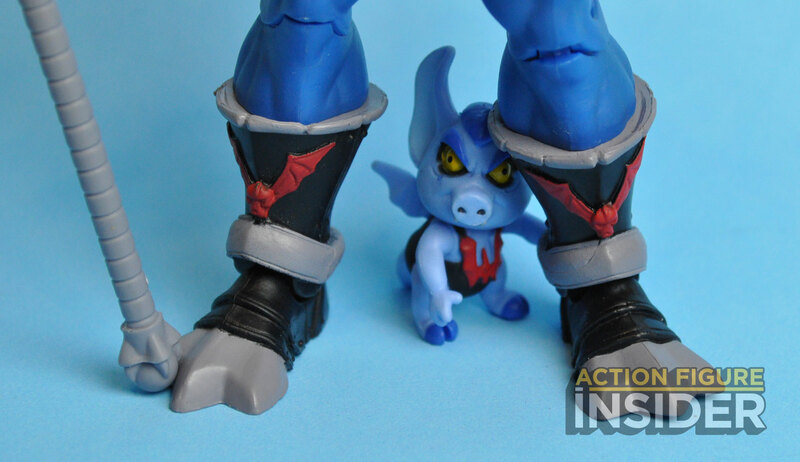 This special “gift with purchase” is available only at SDCC and will not be available with the figure after the show. First come, first served. 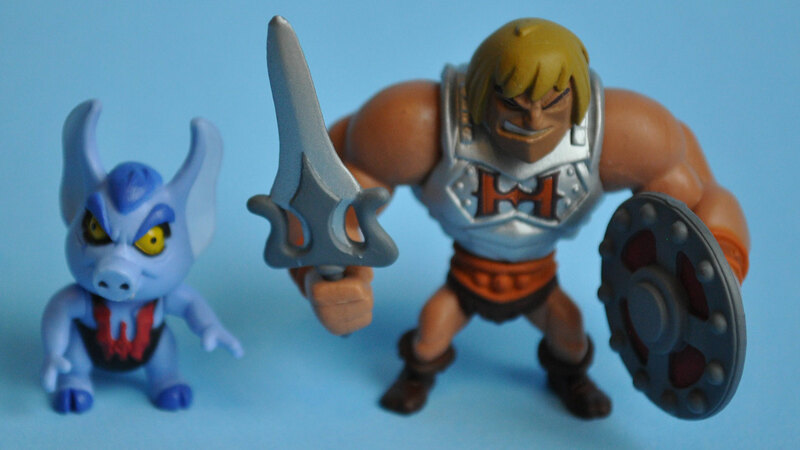 The Package –The in addition to the usual logo and character name, the outer mailer box also features the tribute “In Memory of Lou Scheimer.” Lou was the co-founder and heart and soul of the Filmation Animation Studio that produced the original He-Man and The Masters of the Universe animated series as well as some of the voices in the cartoon. 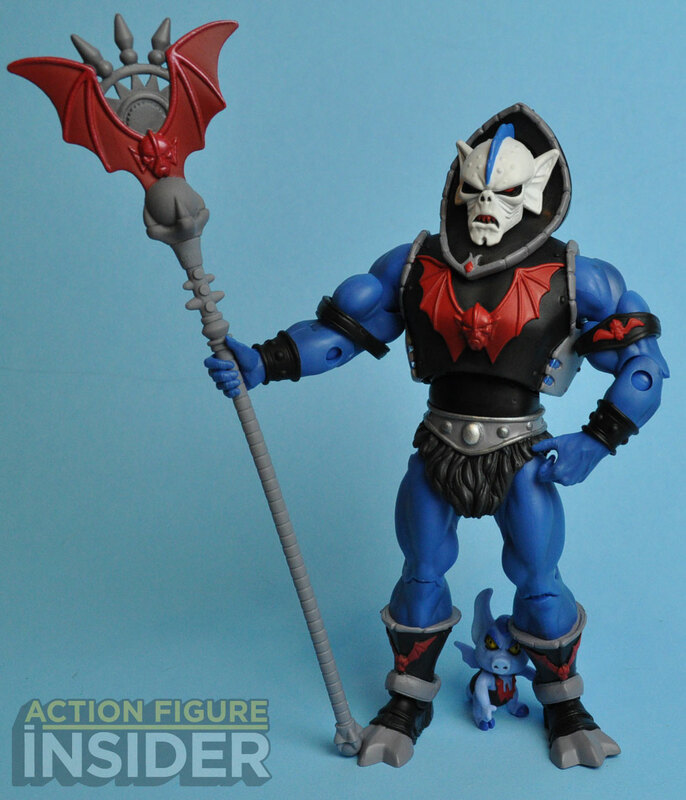 Accessories: Hordak comes with his staff, two arms, a robot hand and the Imp minifigure. 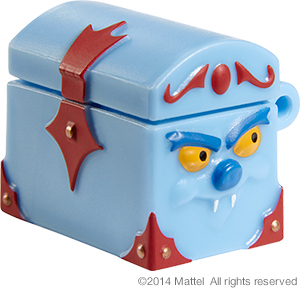 If you buy at SDCC you also get the Imp as treasure chest piece. 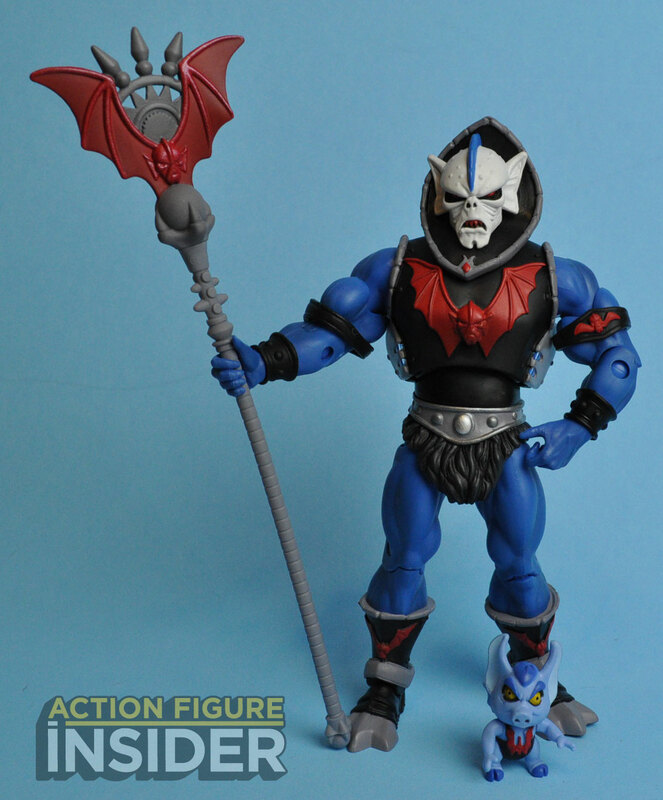 IMP: This version of Hordak also comes with an Imp mini-figure. 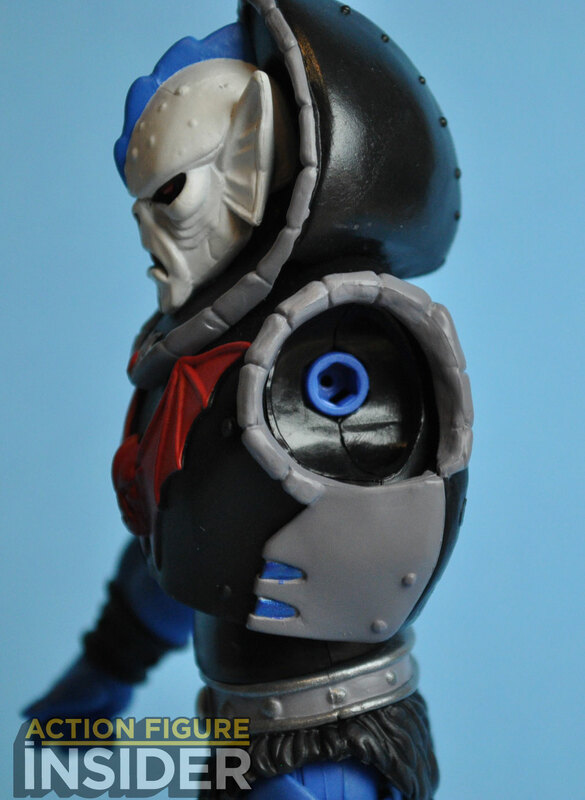 The Imp figure is articulated at the neck and both shoulders. 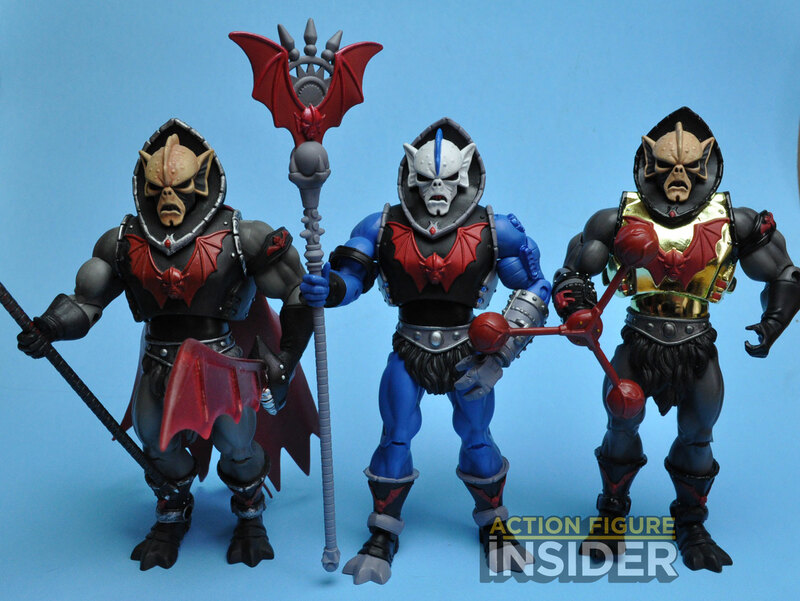 Filmation Hordak presales have sold out. 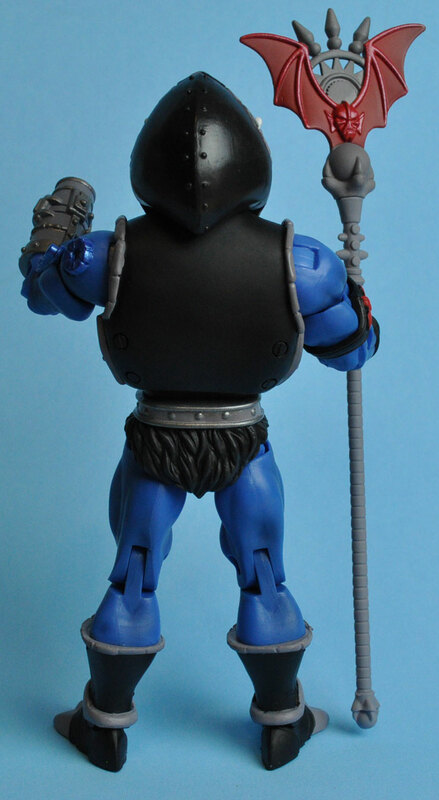 Your only chance to pick him up will be at the Mattel booth at San Diego Comic Con July 23rd-27th and then later in August on MattyCollector.com.